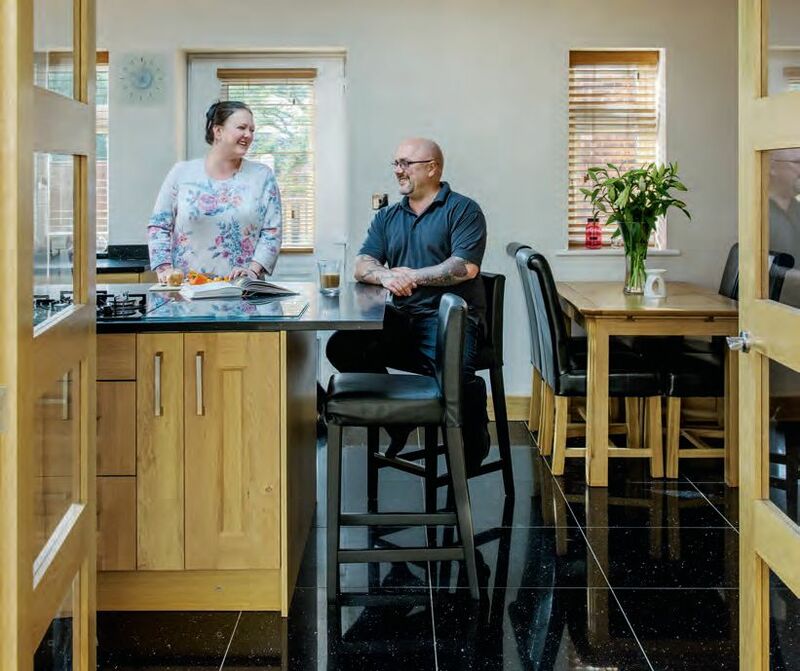 When the prospect of getting planning permission for their new home in Benfleet, Essex, seemed hopeless, John and Donna Scarff decided that they were not going to give up. They prepared themselves for a battle, threw everything at the process and, eventually, their determination paid off. 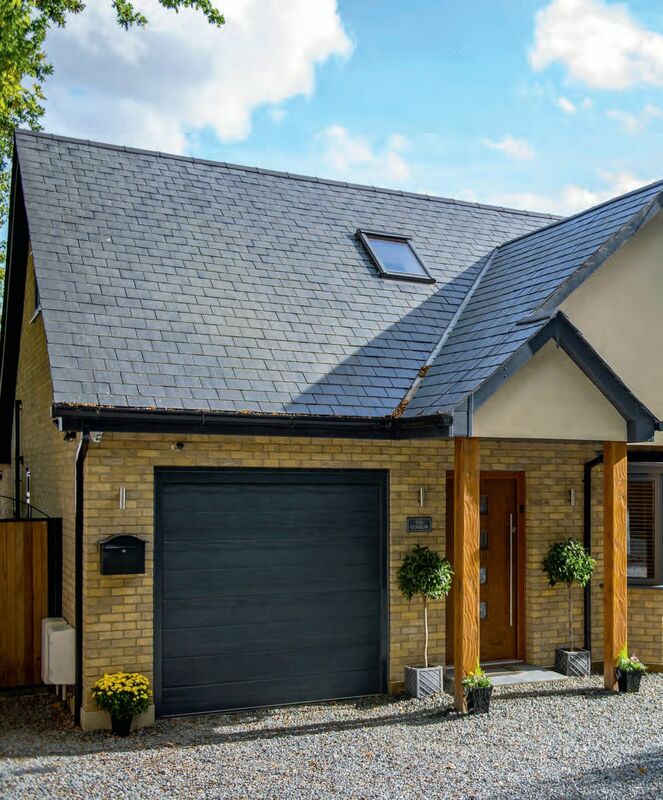 The result is an impressive brick-and-slate chalet bungalow – and one very happy family. 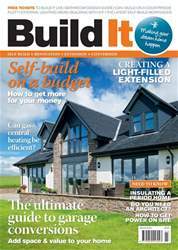 “I’d always dreamt of doing a self-build, and a plot of land came up adjacent to my parents’ back garden,” says John. “A few years ago, my dad became very ill, which meant that if Donna and I lived close by it would be a massive advantage. We decided to go for it.” The plot was down a private, unmade road, surrounded by woodland and a few houses. The Scarffs knew that obtaining planning permission would be problematic. The area had a history of failed applications and, via a pre-application enquiry, the council told them they would have no chance of gaining approval. One issue was the road that, thanks to years of tree overgrowth, was barely wide enough for a refuse lorry. “We approached all the neighbours and told them what we were planning and why,” says John. “We hired a digger and a dumper to widen the entire road back to its original width, then had to resurface it 30m either side of our plot. It made a massive difference to the bumpy, uneven road.” The neighbours were very happy with the improvements to their area and, when the planners went to see the site, the street looked a lot more able to sustain a building project.